Bells of Ireland or Molucella flowers have tall, dark green spires, thickly covered by lighter green, bell-shaped leaves found along the length of the stem. Hidden between these bells are tiny white or pink flowers. They are the quintessential green flower for adding height add hint of drama to your wedding bouquet, flower arrangement or table centerpiece and they even have a slight fragrance. Green “eco weddings” are a hot trend these days. If you have a nature or green themed wedding, Bells of Ireland are the perfect flower for your centerpieces and boutonnieres. 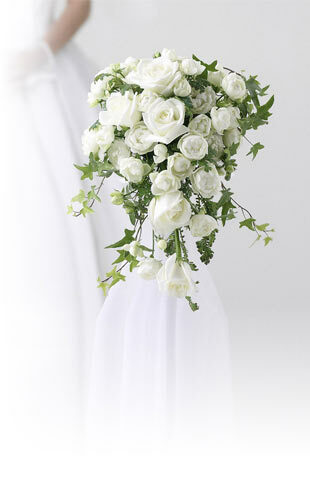 These blooms have a rustic and organic look that spells freshness and natural beauty. Their green color and pleasant fragrance make them a favorite for use in wedding decorations and the green really pops when contrasted on white tables and against white dresses. Fun fact: Bells of Ireland actually comes from Turkey and not Ireland as the name suggests, and is a flower that represents luck. Flower Explosion bells of Ireland never sit in a wholesaler’s warehouse. They are shipped via state-of-the-art cold storage, as soon as they are picked, direct to your door—or wherever you specify. Remember to see our wide variety of colors and schedule your delivery two days prior to your event to allow sufficient time to hydrate your flowers.